A real space-saver. Excellent for small spaces. 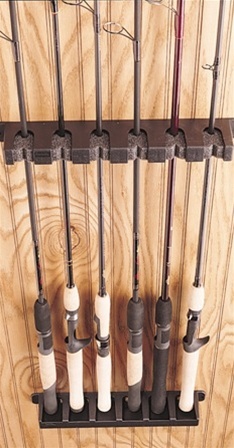 Vertical design holds up to six rods. Features durable polypropylene construction and foam grip pads that won't mar rod finish.